The NHL trade freeze kicks in on December 19, 2018. While the Edmonton Oilers are rolling under new head coach Ken Hitchcock — 9-3-2 after the loss to Vancouver on Sunday — and the feeling around the team is not one that requires immediate change, there is a mild and underlying sense of urgency. Sunday’s loss is not to suggest Edmonton may all of a sudden hit the skids and go on a losing streak, but there are still questions at forward when it comes to the team’s depth in that area and the blue line recently got decimated in one game against the Colorado Avalanche when the team lost blueliners Kris Russell and Oscar Klefbom to injury. Russell’s injury may not be serious but Klefbom’s is as it was announced he’ll be out for six to eight weeks. Meanwhile, the debate over the sense of security Peter Chiarelli should feel as the Oilers general manager wages on. Some believe he should have been let go a long time ago and others are on board with the changes he’s made this season, potentially calling for the hounds to be called off if the Oilers make the playoffs. With the crowd mixed, the current situation in Edmonton and the trade freeze on its way, there may be an opportunity for a GM on the hot seat to prove his worth and steer the angry mob and their pitchforks in a different direction. 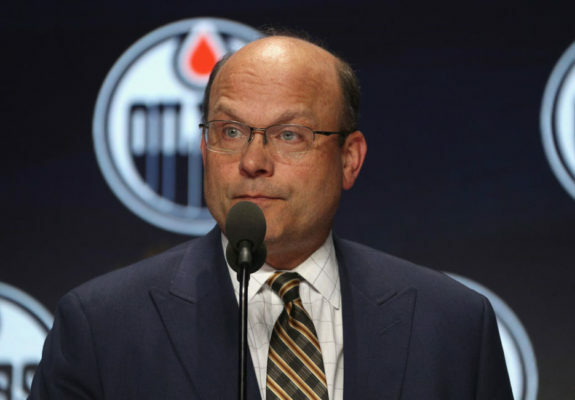 While some are giving the Oilers general manager a passing grade for the work he’s done in 2018, there are not a lot of supporters squarely in the corner of Peter Chiarelli these days. The consensus seems to be that he’s lucky to have a job considering the baffling trades he’s made with some of the team’s biggest stars. That said, those who are giving some credit to the Oilers success of late are noting Chiarelli hired Hitchcock in the first place, found Alex Chiasson when no one else did, signed Mikko Koskinen and added some depth in Tobias Reider and Chris Wideman. Is that enough to give the Oilers a chance in the playoffs? The short answer is no. Sure, the Oilers could make it and once you do, anything can happen, but this team is not deep enough to be a serious contender for the Stanley Cup. There are some things Chiarelli can do to fix that and if he’s lucky, perhaps he can pounce while another GM is panicking. With the loss of Klefbom and Russell, the Oilers are hanging on, but just barely. Credit to Darnell Nurse who has stepped up in a big way and filled in, but continuing to do so may be a lot to ask of a young d-man still prone to making mistakes. Hitchcock has said he believes Nurse is the kind of player who becomes more engaged in the game the more he plays but the Oilers still need to find a defenseman on the market that can come in and play in their top-four on a regular basis. Having a top four that includes Matt Benning and Kevin Gravel isn’t where the Oilers should be for blue line depth. The good news is that the NHL market has just blown up in a major way. The St. Louis Blues, Philadelphia Flyers, Los Angeles Kings and other teams are on the verge of throwing players overboard in an attempt to turn their seasons around or take their teams in another direction for the future. From all of those teams, there are blueliners available. 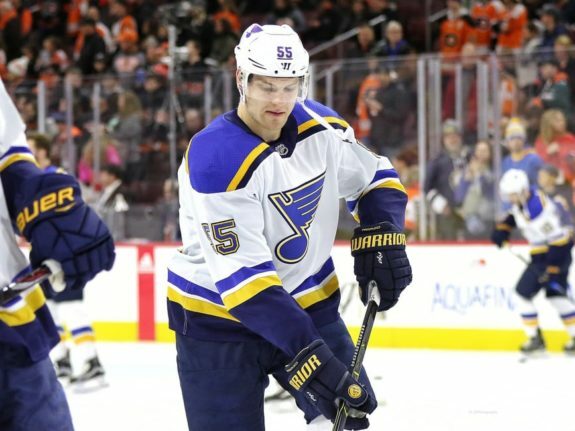 Could the Oilers pry a player like Colton Parayko out of St. Louis without giving up too much in return? Would Edmonton be able to convince a potentially trigger-happy GM like Chuck Fletcher to move a player like Shayne Gostisbehere or land a Torey Krug out of Boston without giving up a Ryan Nugent-Hopkins? Would Los Angeles move Jake Muzzin for the right combination of prospects or draft picks? It might be wise for Chiarelli to start asking those questions in the event one of these teams wants to do something prior to the roster freeze. Considering the teams at the bottom of the NHL standings sound like they’re actively seeking a trade with another NHL organization, can Edmonton, namely Chiarelli capitalize? The Flyers are known to be shopping around the league for help in multiple areas and while they do, they’re working, perhaps even struggling to get a deal done with Wayne Simmonds. Simmonds is the kind of guy that would look great in an Oilers uniform for the rest of the season. If the Flyers are desperate enough, he’s a guy you can use and afford to lose if the cost of acquisition isn’t too high. 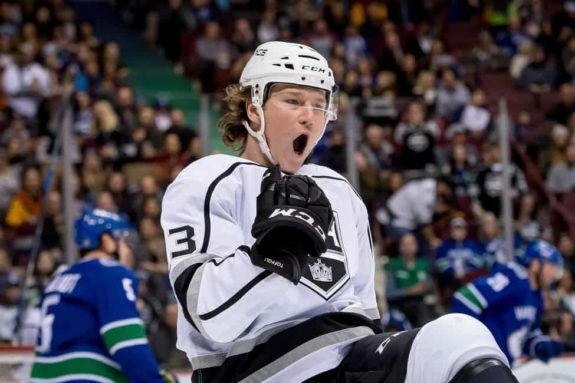 Tyler Toffoli has two seasons left in Los Angeles at a reasonable cap hit and while his production has dropped, is he the kind of reclamation project that Chiarelli has had a pretty good reputation for finding since becoming Edmonton’s general manager? The St. Louis Blues are willing to talk trade about anyone in the organization if the return is right. What exactly is the return that would be needed for a guy like Vladimir Tarasenko? What about the Penguins and the ever-lasting rumors that Phil Kessel is on the trade block? Some of these names aren’t small gets. In fact, if traded, many of these guys would be considered front page news stories. Therefore, landing one prior to the 19th might not be realistic, but at the very least, Chiarelli might want to consider sticking his nose out there. You don’t know how badly these GM’s want to make a move until you ask. That is, assuming, Chiarelli has the power to make these trades at all and approval doesn’t need to come from above.